A fairly recent trend in lightweight backpacking is a move towards using lightweight blankets or quilts as opposed to the traditional ‘mummy style’ sleeping bag. The reasoning behind this move is to generally cut down on the weight and bulk of traditional sleeping bags. They also have some other advantages which I will touch on later. While there are many manufactures having their particular model or take on the blanket/duvet (check out Golight for an alternative). 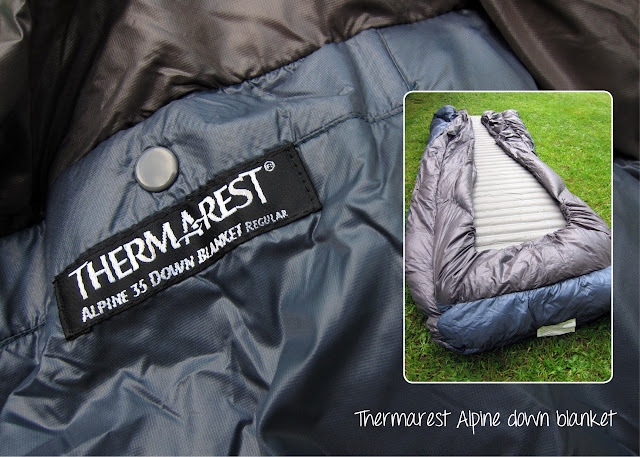 I’ve recently had the chance to test Thermorest’s model called the ‘Alpine down blanket’ over a number of nights. 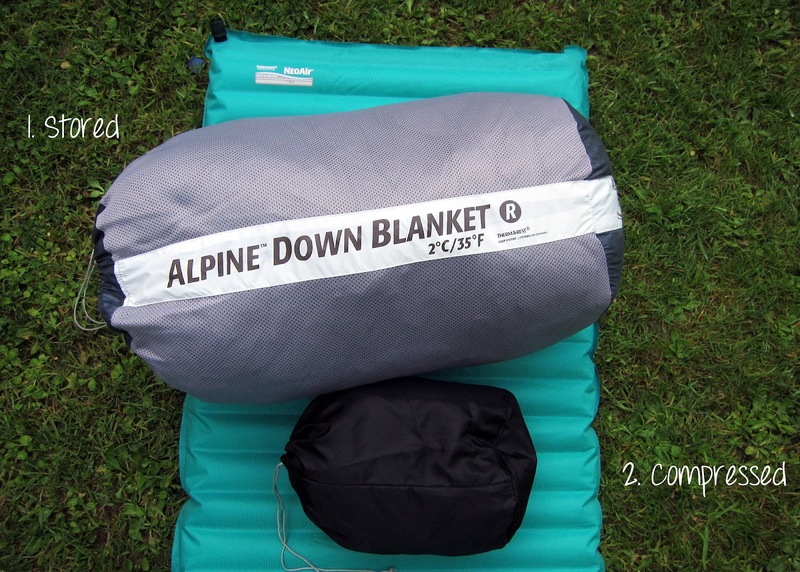 The blanket is generally lighter (624g) in weight than most regular mummy or rectangular sleeping bags mainly because it has an open back and the absence of a zipper or a hood. This also allows the blanket to be packed down to a very small size. Due to having a open back, the blanket simply drapes over you and your sleeping pad to stay warm. The absence of underside insulation should not affect the comfort level as long as you are using a decent sleeping pad with good thermal properties (in this test I was using the Pacific Outdoors 'peak elite ac'). The blanket drapes over the side of the sleeping pad and also has an elasticated foot box that tucks under the sleeping pad to prevent any side drafts (see photo). Field test: I tested the blanket at ambient temperatures between 7-10 C so I didn’t have the chance to test it at its minimal thermal rating. At these the temperatures the blanket performed very well. However, I think any temperatures below this I would have perhaps would have worn some layers. You may also want to consider wearing an insulated hat due to lack of a hood if the ambient temperatures are low. Having tested the blanket over a number of nights I have come to the realisation that I am definitely a convert to using blankets as opposed to sleeping bags on wildcamping trips. One of the main reasons for this transition is actually comfort. I have realised that as a predominantly ‘side sleeper’ I found the blanket much more comfortable to use than a traditional sleeping bag where the ‘mummy’ design basically forces you to sleep mainly on your back. The other advantage is that you can get under the covers in a matter of seconds. So after using mummy style sleeping bags for decades camping this transition was surprisingly simple to take. In summary, if you want to cut down on weight and bulk and you are a predominantly a side sleeper the blanket/quilt is definitely worth checking out. Down Blankets are a great alternative!